From light repair to complete overhaul, here at Mastertech we are prepared to handle your transmission repair and service needs in Oceanside! David, our master transmission rebuilder, knows all the complex inner workings of your transmission. He works on Allison transmissions as well as every other transmission out there, even diesel transmissions! Many transmission shops will remove the transmission before giving you an estimate for repairs. We believe in early detection and catching problems early in order to prevent a major overhaul. We would rather repair your transmission if we can! At Mastertech most transmissions are diagnosed before work begins! You may think that your transmission repair may take forever, but we take pride in our prompt service. We know how important your vehicle is to you and want to get you back on the road as soon as possible. We hope you choose us for all of your Oceanside transmission repair needs! Come in if you live in Carlsbad or Camp Pendleton, we serve the community surrounding Oceanside as well. 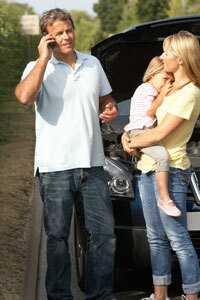 Having Transmission Troubles? We Can Help! We Offer a Road Test and Diagnostic Checkup! We Offer a Road Test and Diagnostic Checkup! Computer Code Check-Up Visual Inspection and Diagnosis Click Here for Coupons and Specials!